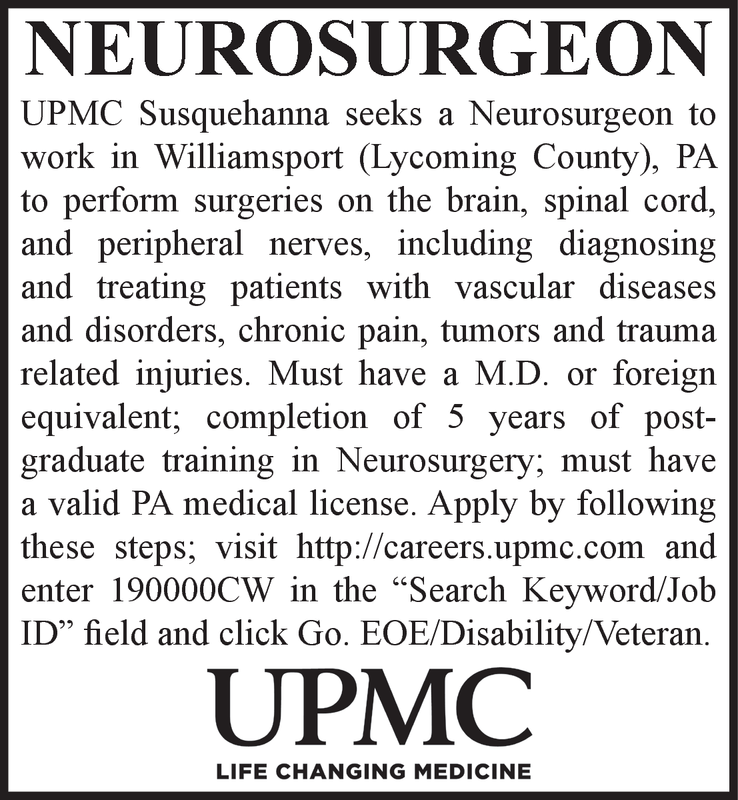 UPMC Susquehanna seeks a Neurosurgeon to work in Williamsport (Lycoming County), PA to perform surgeries on the brain, spinal cord, and peripheral nerves, including diagnosing and treating patients with vascular diseases and disorders, chronic pain, tumors and trauma related injuries. Must have a M.D. or foreign equivalent; completion of 5 years of post- graduate training in Neurosurgery; must have a valid PA medical license. Apply by following these steps; visit http://careers.upmc.com and enter 190000CW in the "Search Keyword/Job ID" field and click Go. EOE/Disability/Veteran.